Growth in the south offset declines in the north as the state added only 967 people over five years, while actually losing residents from 2014 to 2015. 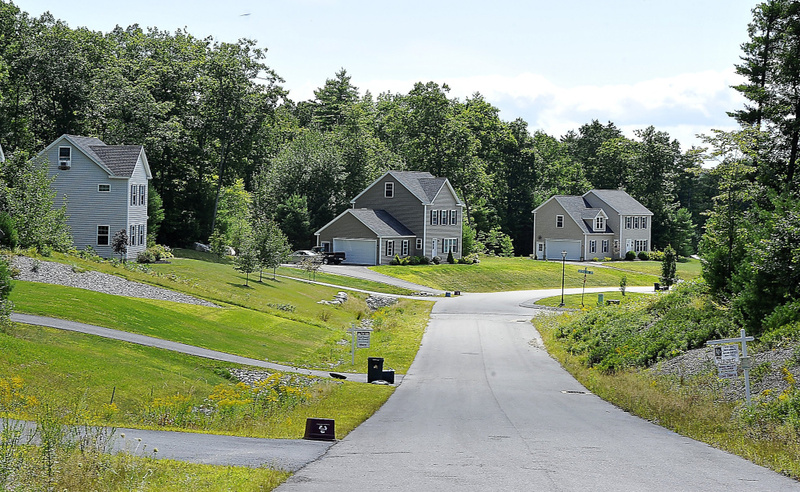 New census estimates show the population of Maine is staying essentially flat, with small gains in the southern suburbs offsetting losses in the northern cities. 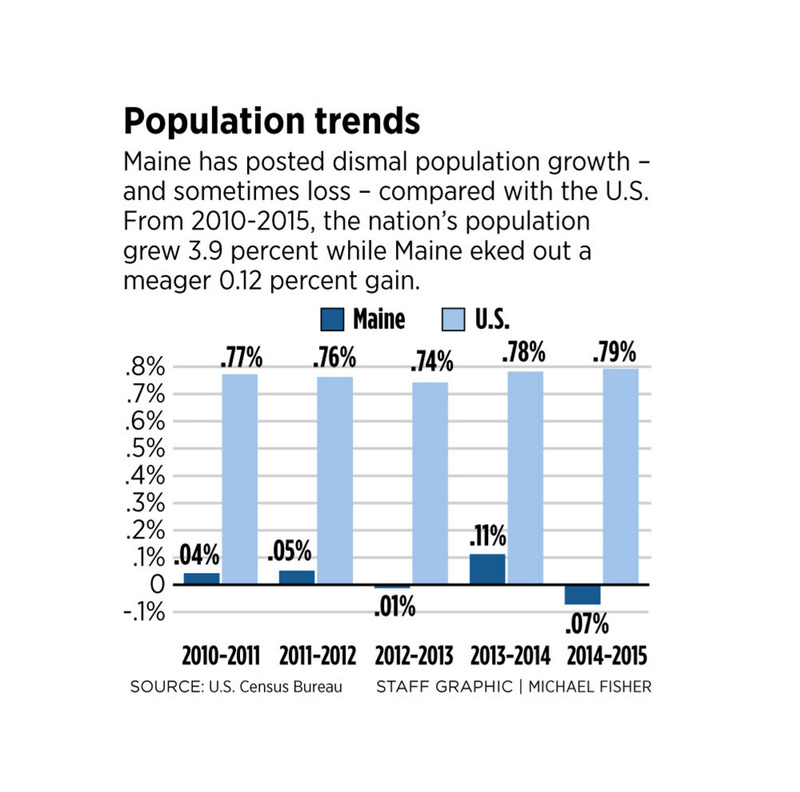 The estimated population of Maine was 1,329,328 in July 2015, a year-over-year decline of 928 people, according to the American Community Survey, an annual statistical snapshot conducted by the U.S. Census Bureau. But that is 967 more people, about one-tenth of 1 percent, than Maine had in 2010, the last time the government did a hard-count census of its residents. It’s the continuation of a longtime demographic trend, said Charles Colgan, a former state economist and retired professor of public policy at the University of Southern Maine. Cumberland County, which hosts Portland and its suburbs, accounted for eight out of the 10 Maine communities with populations that grew the most, numerically. Windham added the most – 815 people – from 2010 to 2015, a 4.8 percent increase that raised its total count to 17,816. Falmouth, Gorham, Scarborough and Portland round out the list of five communities that added the most people over the five-year period. 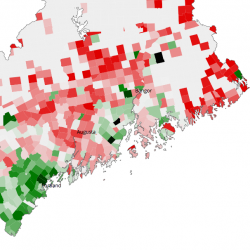 In central and northern Maine, cities had mostly declining populations. Augusta’s population fell by 665 people, or 3.5 percent, over five years to 18,471, losing more than any other city in Maine, according to the survey. Bangor lost almost as many over that same time span, 648, but its larger size cushioned the impact of the 2 percent decline. It was estimated to be the home of 32,391 people, according to the survey. Presque Isle was not as lucky. In 2010, the town had about 9,692 residents. Five years later it had lost 521 people, a 5.4 percent decline, according to the survey. Its even smaller neighbor, Caribou, saw its population fall by 4.6 percent, or 373 residents. These losses combined to offset the population gains in the Bangor-area communities of Hermon, Ellsworth and Orono. The impacts of population changes are felt the most in small towns. Census estimates in such places are less statistically reliable than for larger towns, especially for communities with fewer than 500 people, but change can happen fast in these communities. For example, Waldo, a tiny town outside Belfast, grew the fastest of all statistically reliable Maine communities, jumping from 762 to 842, or 10.5 percent, over the five-year period, according to the survey. Colgan said it’s still too early to measure the demographic impact of Maine’s paper mill closures in the past two years, which have resulted in thousands of jobs lost in communities such as Old Town, Bucksport, Lincoln and East Millinocket. People who earned their living in a single-industry community usually hang on for a few years, hoping to get a job someplace else, before leaving to find work elsewhere. The real impact wouldn’t show up until the 2020 census, he said. But Colgan doesn’t think these towns will suffer a population collapse like the one that happened in Washington County when the sardine industry left in the 1970s. Unlike the sardiners, the mill workers are older, Colgan said, and many of them have paid off their home mortgages. Rather than find new work elsewhere, he thinks they are more likely to retire and live off their savings and Social Security checks than leave their longtime community. But that impact would probably make itself known before Maine can tell if its efforts to attract new residents is working, Colgan said. Government policymakers and employers have been struggling with the state’s aging demographics, and the need to find workers to fill the jobs being left by retiring baby boomers, for years now. But it will take a while for those new strategies to pay off, and it will take a lot of small successes to offset the population losses caused by retirement and death, he said. The only population category showing growth in the state is immigrants, Colgan noted.